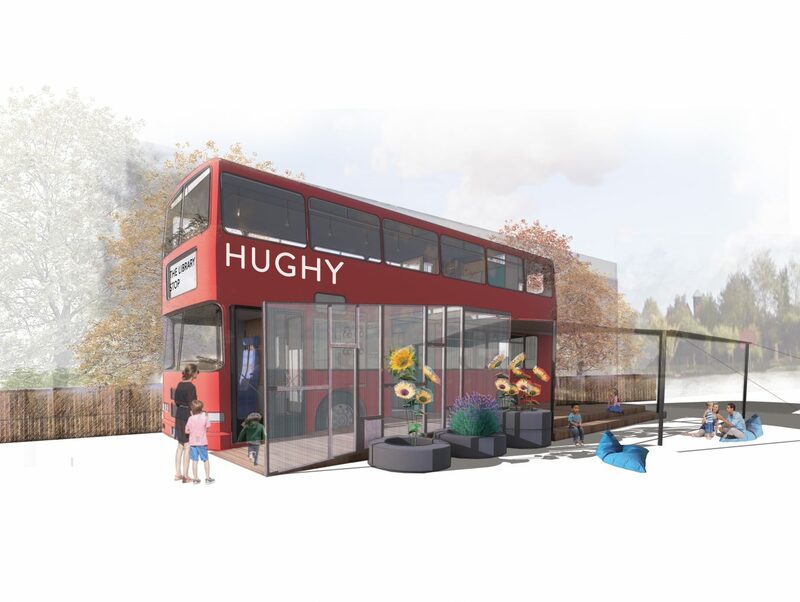 A school local to our practice in Leeds got in touch with us to see if we would be interested in working on a community-based project they have of turning an old double-decker bus into a library. The school explained to us that they had run out of space at the school and after recently purchasing the bus they had very little money in which to fund the rest of the project. A library was needed to help improve both pupils and parent’s literacy. SDA agreed to take on the challenge and donate our time to the project with staff working in their own time. 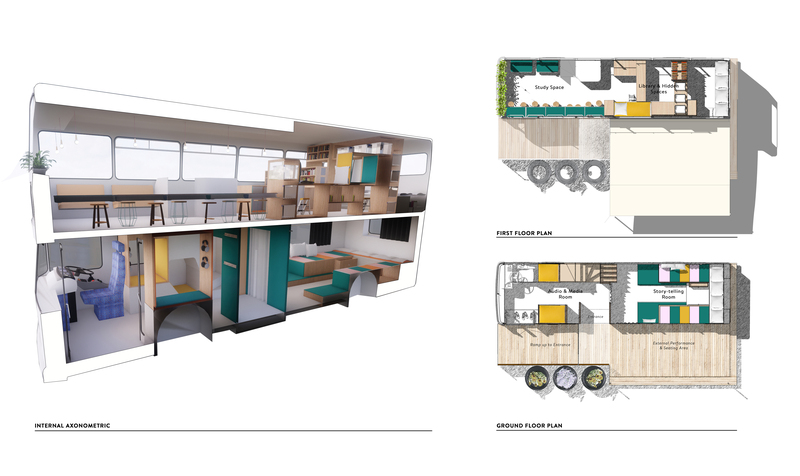 Led by our Part 2 Architectural graduate Cath, we came up with a fun multi-functional design to fit the tight budget, that creates a warm and inviting space where pupils and parents can feel comfortable to learn. Inside the bus we have a story telling space, an audio play space, one on one study area and library with quiet spaces that pupils can sit in to read. To create more space, we also used an outside area that can be used as a teaching space, an area for pupils to put on plays or a space to talk and act out the books they are reading. To try and combat that weather we get in Leeds we also included a canopy, so the space can still be used on rainy days. Now that we have the design of the bus completed we will be submitting the project for Planning Permission along with Tendering the design. We have agreed to help the school with promoting the design with a view to raise donations, whether that be money or actual items for the project such as lighting, furniture, carpets etc or time and services such as joiner, electrician etc. If you would like more information or to donate money, time or items to the library bus, please contact Cath Wheater by clicking here. How inspiring! It’s great to see the community coming together to collaborate on such a marvellous and worthwhile project.